Life really has a funny way of sneaking up on you. I was trolling around Facebook and a friend invited me to an Alanis Morissette Jagged Little Pill tribute gig and my jaw just dropped. A horrified thought bubble – “Wait? WHUT? Jagged Little Pill is 20 years old?!??!?! How did that happen??”. As much as days go by slowly and years go by quickly, has it really been TWENTY years? 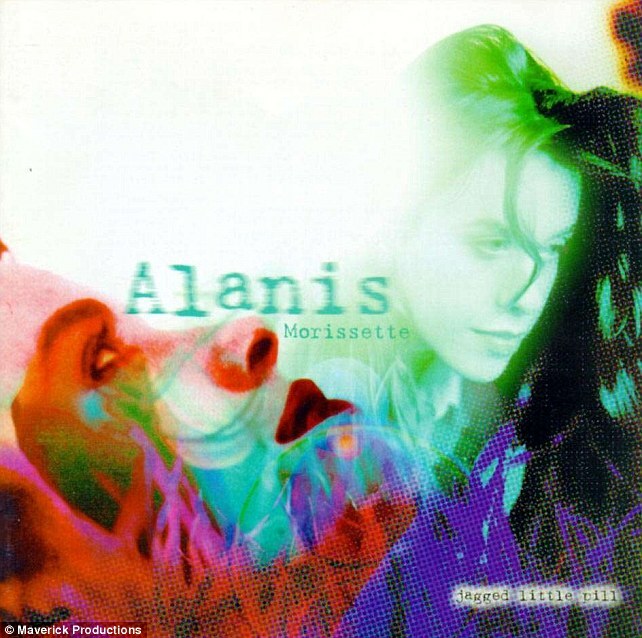 Being the third world 90s kid that I am, I first heard about Alanis probably the early part of 1996, the last quarter of my senior year in high school. It was probably after UPCAT and ACET results were out, I knew I was college-bound and did not care much about what happens the rest of the year. My friends and I were in the deep depths of “senioritis”. I also remember stalking Alanis at the now defunct APO Hiking Society Lunch variety show with Noee at the Delta Theater(turned used car showroom LOL). She was here for a concert, November 1996 to be exact and I’m not sure why I didn’t watch her. Either nobody wanted to go with me as Alanis was deemed too mainstream for my “alternative/modern” rock listening friends/family or I did not have any money being a poor college kid with 500 pesos a week as allowance. Take note, 500 during that time was not a bad sum of money. You can do so many things with that. But based on my last weekend trip to the UP Town Center(a mall near UP Diliman and Ateneo, where UPIS used to be! ), I estimate a local college kid nowadays needs at least 2500 pesos a week to survive given the plethora of things/activities you are bound to spend on these days. Gah! Kids today! But going back to Alanis, so yah, whatever the reason was I dragged Noee to Delta and we almost were trampled by the crazy people who thought of doing the same thing and the White Castle girl and her horse walking around the parking area. Don’t ask me about the latter and no, we did not see Alanis either. We were too tired from all the “moshing” outside we decided to quit and go to Wendy’s Quezon Avenue to eat. LOL. Ahh. Youth. Those were almost 20 years ago, how about that? Unbelievable. And this morning, I decided to listen to Jagged Little Pill while driving and the tide of memories just flooded right in. I know, Alanis is a manufactured juggernaut of modern rock-feminist twinged pop music but her songs are not bad. Most held up and I think my favorite song in the album is “You learn”. It’s softer than most of the other songs and I guess the song rings true. So many things happened the past two decades – triumph, loss, heartbreak, success, milestones, lessons, beginnings, endings and a whole lotta life – you live and you learn. That was such a nice trip down memory lane. Thank you, Alanis.